This is sautéed pechay with an attitude; and so simple and quick to make. It makes full use of pechay’s and okra’s versatility and cooked in an unorthodox but tasty way. 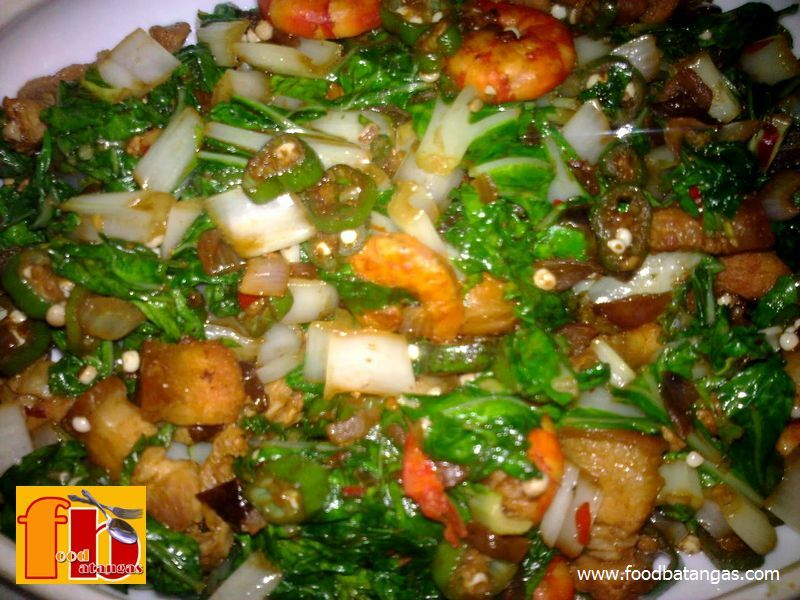 This dish can be served as a meal on-the-fly by itself or served with a separate fish or meat viand. It actually takes less than 30 minutes to prepare this dish. Rinse pechay slice across into small rings or pieces. Rinse okra and slice across into small rings. Boil liempo in half a cup of water in a large wok until the water fully evaporates. Once the water has evaporated, keep stirring until the lard has been drawn out and the pork has become golden brown and crispy. Set to one side of the wok. Add garlic and stir until golden brown. Add onions and red chili and stir for a minute or two. Stir the pork back in. 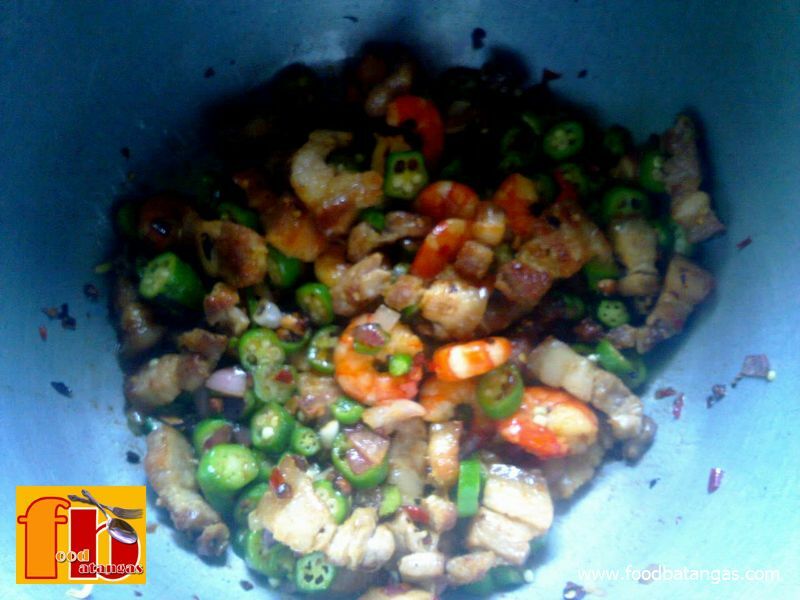 Add shrimps and stir for a minute or two. Add soy sauce and stir for half a minute. Add okra and stir for 2-3 minutes. Add pechay and stir for a minute or two.